With its stunning white interiors, impressive list of summer entertainment and world famous parties, Es Paradis is one of the most popular clubbing destinations in San Antonio. 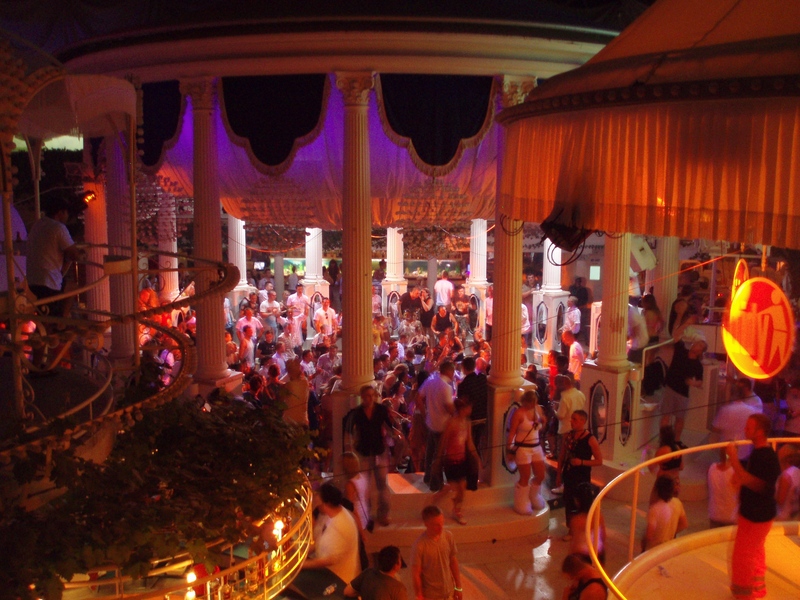 Super-glamorous, Es Paradis features a number of white tiers where you can take in the club’s electric atmosphere from above. Throughout the summer season you can enjoy huge line-ups and some of the industry’s biggest house and techno beats in beautiful surroundings. One of the club’s most legendary parties is its water party. This famous party has been held at the club since 1975 and involves the whole dance floor transforming into a swimming pool! The roof also opens allowing clubbers to dance to hands-in-the-air beats in the sunshine.